Huge savings! Shop in store and buy one, get one $5 select items. Limited time only! Shop in store and get all graphic tees at buy one, get one 50% off. Don't miss this! Shop in store and get all jeans at buy one, get one 50% off. Hurry! Shop in store and get all leggings at buy one, get one for $5. Shop in store and take 25% off any pre-owned iPad or Apple Watches. Shop in store and enjoy 20-30% off select geometric and infinity jewelry. Hurry! Shop in store and enjoy buy one, get one 50% off girls & guys graphic tees. Join us in store and show us this coupon to save big! Mix & Match Sale! Shop in store and enjoy buy one, get one 50% off on GNC's everyday wellness essentials. Hurry in! Shop in store and get pants at buy one, get one 50% off. Hurry in store and get 5 for $18 or 7 for $24 Wallflowers Fragrance Refills. Limited time only! Stop by and enjoy buoy one, get one 50% off throughout the store. Stop by and shop our End of Summer Sale from $3. Stop by and take 20% off on 2 or more pre-owned games when you purchase any system. It's time to earn rueBUCkS! Shop in store and get $20 off for every $40 spent. Stock up on your favorites! Shop in store and enjoy buy one, get one 50% off select products. Thursday, September 6 – Sunday, September 9, BOGO FREE shoes at rue21. Shop in store and take 20% off on select Spider-man apparel & drinkware and Destiny 2 collectibles. End of Summer Clearance! Shop in store and take up to 70% off regularly priced items. Shop in store and enjoy buy 3, get 3 free select body care for a limited time. Don't miss out! Shop in store and enjoy buy 3, get 3 free select body care. End the week with something new! Shop in store and save up to 30% on select Gold Necklaces. Shop in store and save up to 20% off your entire purchase plus thousands of other prizes. Shop in store today and take up to 70% off clearance for a limited time. Great save! Shop in store and enjoy buy 3, get 3 free select body care. Get your Fall fix by receiving 30% off your $40 purchase or more. Shop in store and take 20-30% off select styles. Shop in store and enjoy buy one, get one 50% off select high-quality solutions. Hurry! Shop in store and enjoy buy three, get one free on select herbs, letter vitamins & minerals. The air is crisp, the sweaters are cozy & the campfires are toasty… Fall is *officially* here & it’s time to celebrate with even MORE of your favorite ingredients & iconic Bath & Body Works fragrances. With returning favorites like Spiced Apple Toddy & Frozen Lake, plus brand NEW fragrances like Sparkling Nights, Bath & Body Works just released more than 70 NEW products for the season. Get it now! Shop in store and get hand soaps for $3.50. Don't miss out! Stop by and get select items at buy one, get one for $5 throughout the store. Shop in store today and take up to 70% off clearance. Hurry in before it's gone! Shop in store and get 2 for $4 Bang Energy Drinks. Work your magic! Shop in store and get 20–30% off select Black Fashion jewelry. Work your magic this Halloween! Shop in store and get 20–30% off select Halloween styles. Don't miss this! Shop in store and get the Wallflowers Fragrance Refills for $3.50. New styles added! Shop in store and take up to 70% off clearance for a limited time. Stop by and get select body lotion for only $6. Fall Sale! Shop in store and take 50% off select items. Hurry in and buy one, get one 50% off on graphic tees in store. Don't miss out! Shop in store and take up to $900 off select bridal styles. Stop by and enjoy buy one, get one free on GNC One Daily Multis & Boxes of Quest Protein Cookies. Make your home scream HALLOWEEN with spooky scents from Bath & Body Works! Stop by today for freaky-fun fragrances like Purrfect Pumpkin, Vampire Blood & Ghoul Friend. See store for more details. Halloween won't last forever! Shop in store and enjoy buy one, get one 50% off on all horror. Shop in store and get the 3-Wick Candles for $12.95. Get it before it's gone! Stop by and enjoy our $5 deals and $4 steals in store today. Shop in store and enjoy buy one, get one 50% off Health & Fitness Staples. Hurry in store and take up to 30% off select jewelry styles. Shop in store today and enjoy 20-40% off select Citrine styles. Hurry in and buy one, get one free on boots & booties in store for a limited time. Score a free $10 promo card when you purchase $30 in gift cards, OR double it, get $20 when you spend $50 or more in gift cards! Limited time only! Shop in store and enjoy $10 off 3-Wick Candles. Gifts you'll love to give! Shop in store and take 25% off everything. Stop by and take 25% off on outrageous Xmas apparel in store. Hurry, limited time only! Shop in store and enjoy buy 3, get 3 free select body care. 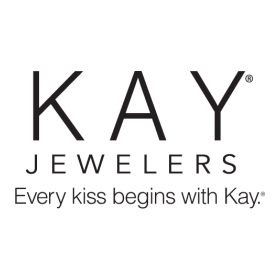 Shop in store and take 25% off all personalized jewelry for a limited time. Hurry in and receive $100 in rewards for every $300 you spend in store. Limited time only! Shop in store and get 5 for $18 or 7 for $24 Wallflowers Fragrance Refills. Hurry for best selection! Shop in store and take up to 30% off thousands of styles. Limited time only! Shop in store and purchase the 3-Wick Candles for $12.95. Get it while you can! Stop by and shop gifts from $5. Great save! Shop in store and purchase the 3-Wick Candles for $15.50. Hurry in and take up to 70% off on clearance items in store for a limited time. Shop in store and take up to 70% off on clearance items for a limited time. Stop by and take up to 60% off on select ea digital games in store. 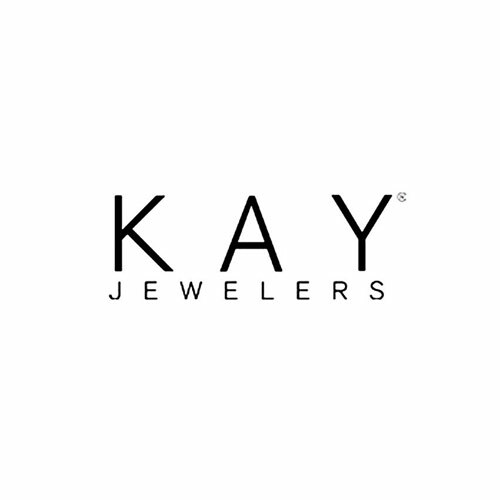 Hurry in and buy one, get one 50% off all jewelry in store. Shop in store and buy one, get one free on hats & tees for a limited time. Stop by and get up to $200 Credit when you trade a PS4, Xbox One, or Nintendo Switch in store. Don't miss your chance to save big! Stop by and save up to $50 on select turtle beach headsets in store for a limited time. Hurry in and get 25% off on select items in store for a limited time. Limited time only! Shop in store and get Wallflowers Fragrance Refills for $3.50. Don't miss out! Shop in store and enjoy $10 off 3-Wick Candles. Shop in store and take 25-50% off everything for a limited time. Buying the perfect gift for your loved on just got more affordable! Shop in store and enjoy buy 1, get 1 50% off on select products for a limited time. Check out these valentines sales! Don't miss our Presidents' Day Sale and enjoy big savings on great items. A new way to give roses for Valentine’s Day. Shop in store and take 30% off select styles. Stop by and get 25% off on anime figpins, statues & action figures in store for a limited time. Entire Store On Sale up to 80% off! New Reductions Taken! * see store associate for details Christopher and Banks reserves the right to change or withdraw the offer at any time without prior notice. Stop in to see all the new Spring styles arriving daily! * see store associate for details Christopher and Banks reserves the right to change or withdraw the offer at any time without prior notice. Hurry in and save! Shop in store and enjoy buy 3, get 3 free select body care. Shop in store and take up to $1,000 off on select styles for a limited time. Don't miss this! Shop in store and take 20-40% off all engagement & wedding rings. Please join us for The Diamond & Design Event! One Day Only! Tuesday, March 26. Watch as our expert craftsman brings together the diamond and setting you choose to create your unique ring. Choose from a spe3cial selection of breathtaking diamonds and ring styles brought in just for this event. You may also bring your heirloom diamond and have it placed in the new setting of your choice. Call today to make an appointment! Limited time only! Shop in store and enjoy buy 3, get 3 free select body care. Inhale tropical scents, exhale stress. Shop in store and get Wallflowers Fragrance Refills for $3.50. Shop in store and buy one, get one 50% off hats for a limited time. Some restrictions may apply. Offer details and dates may vary by location. See store for details. Hurry! Shop in store and enjoy buy 3, get 2 free select body care. Don't miss out! Shop in store and get 6 for $18 Hand Soaps. Enjoy this awesome sale on 3-wick candles!